Charlie Blakeman is living in New York, on Washington Square, struggling to write his second novel and floundering, when his college love, Sophie Wilder, returns to his life. Sophie, too, is struggling, though Charlie isn't sure why. They've spoken only rarely since falling out a decade before. Now Sophie begins to tell Charlie the story of her life since then, particularly the days she spent taking care of a dying man with his own terrible past and the difficult decision he presented her with. 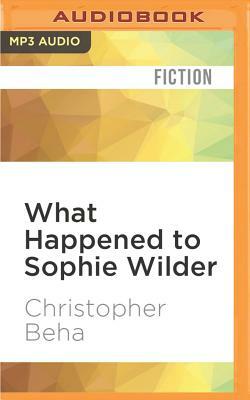 When Sophie once again abruptly disappears, Charlie sets out to discover what happened to Sophie Wilder.